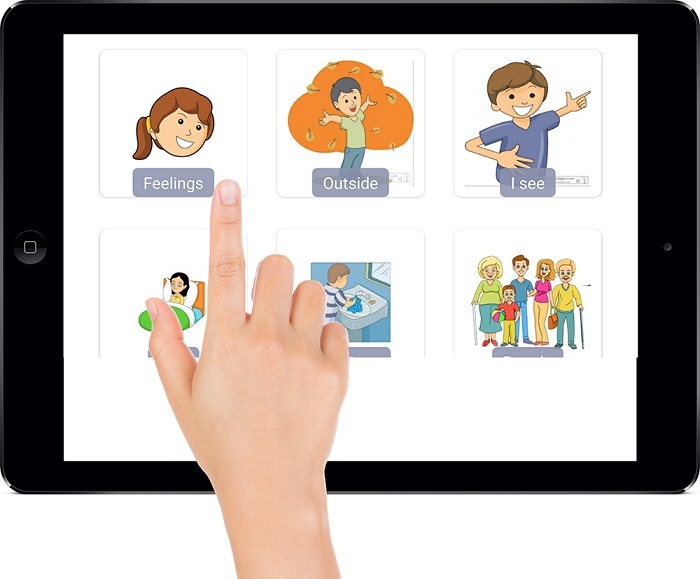 The TippyTalk is an enhanced AAC (communication) platform that removes the person living with the verbal disability from the frustration. Isolation and limitation of same room communication and opens the door to the world around them. This solution allows a person living with a verbal disability to communicate by translating customized pictures into personalized text messages, which are then sent to a family member or care givers phone or tablet. TippyTalk allows you the parent or caregiver to capture images that are uniquely identifiable and familiar to the person living with the verbal disability. You simply take a picture of an object, place, or person and apply the appropriate text. You can also reinforce language development by recording your voice over each picture insuring the person living with the disability will recognize and understand the message. This communication is not restricted by distance the person living with the verbal disability can communicate with whomever they chose no matter where they may be in the world. TippyTalk is unique in that it removes the person with the verbal disability from the limitations of same room communication and by doing so increases and promotes Communication, Independent choice, and provides a platform for Social inclusion, while also reducing the frustration for the person and the entire support network. No two TippyTalkers will be the same, each unit is extremely user friendly and simply to program. Putting the control back into the hands of the parent/caregiver, after all no one knows their loved ones better than you do. This enhanced AAC platform is breaking down communication barriers by allowing the user to connect instantly with whomever they choose anytime, anywhere.